The event will not only provide entertainment and honor women of the West, but will also provide fellowships to individuals to further their knowledge with master artists. 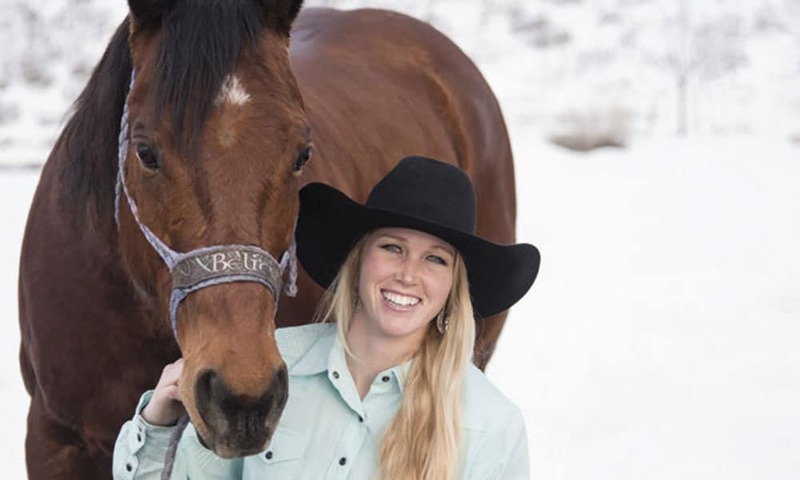 Amberley Snyder will be among the clinicians at Art of The Cowgirl. Photo by CarolLee Egbert. It may be the hat and boots or just a love for the look and lifestyle. Either way, cowgirls are a unique breed with a sense of style and attitude that beckons artists to their door or pasture and, many times, stirs them to become artists themselves. Art of the Cowgirl, the vision of cowgirl Tammy Pate of Ryegate, Montana, will celebrate this distinctive group of women during this event taking place at Corona Ranch February 8-10, just outside Phoenix, Arizona. The event will showcase female makers, master artists, silversmiths, braiders, saddlemakers, and horsewomen. The event will not only provide entertainment and honor women of the West, but will also provide fellowships to individuals to further their knowledge with master artists in their trade of choice. It will include workshops from masters, along with horsemanship clinics, an all-girl ranch rodeo, and an elite horse sale, featuring horses bred and trained for ranch work. To learn more about Art of the Cowgirl, go to artofthecowgirl.com or search Art of the Cowgirl on both Facebook and Instagram.